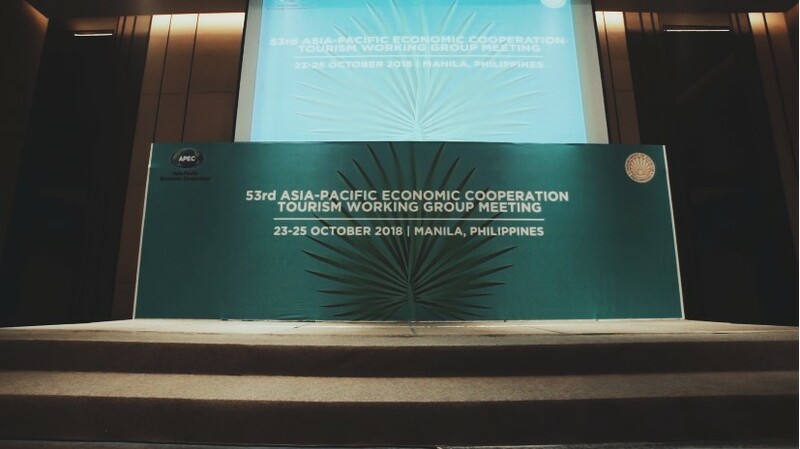 Know more about what Philippines can offer. 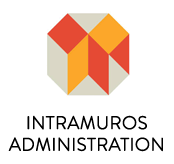 Property owners and property business venture searchers. 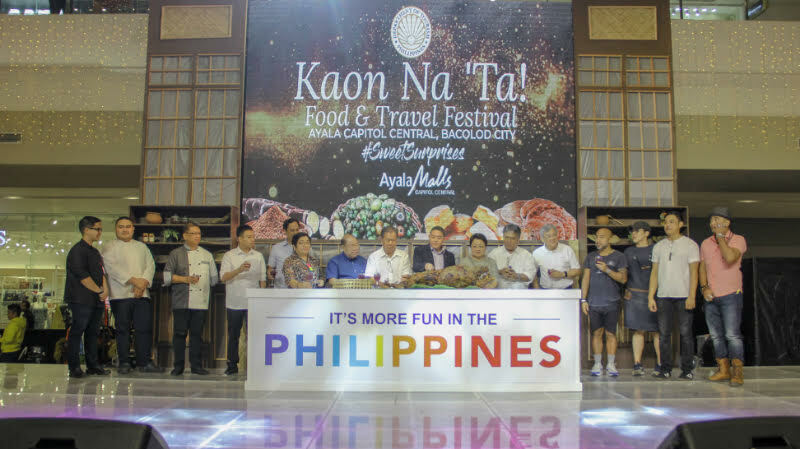 Spectacular and ecstatic celebration ushered in Christmas week as hundreds of people joined the Kaon Na Ta Food & Travel Festival of the Department of Tourism (DOT) in Bacolod City. 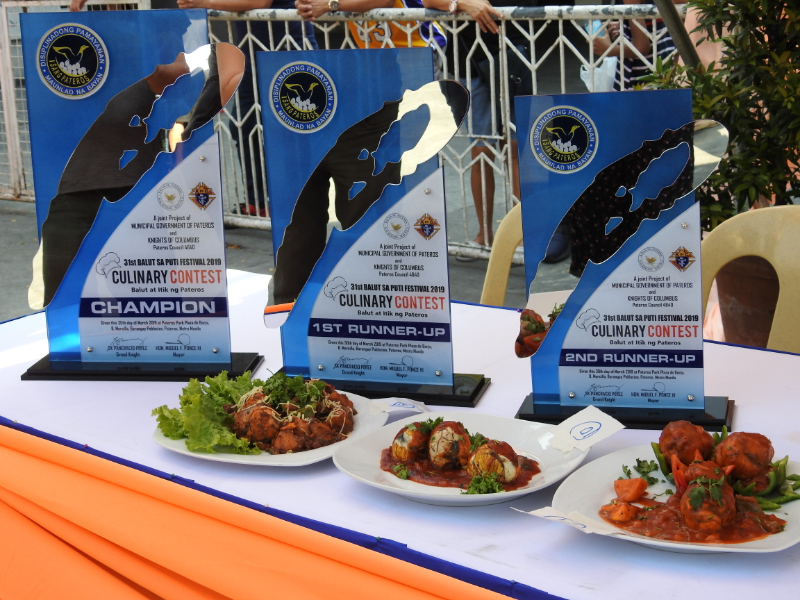 "Coming together for this year's finale celebration of our rich culinary diversity shows our people's unity, and love of fun and food," said DOT Undersecretary Art Boncato, Jr. 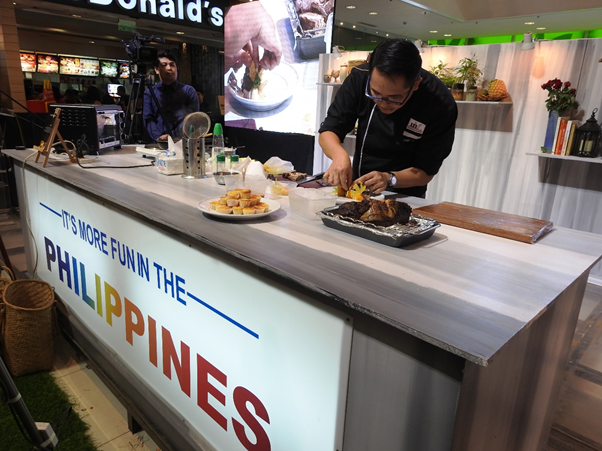 The event co-hosted by the DOT and Ayala Malls Group turned into an outrageous boodle-fight as food-loving Negrenses feasted on the extraordinary recipes concocted by acclaimed Negrense chefs for public degustation. 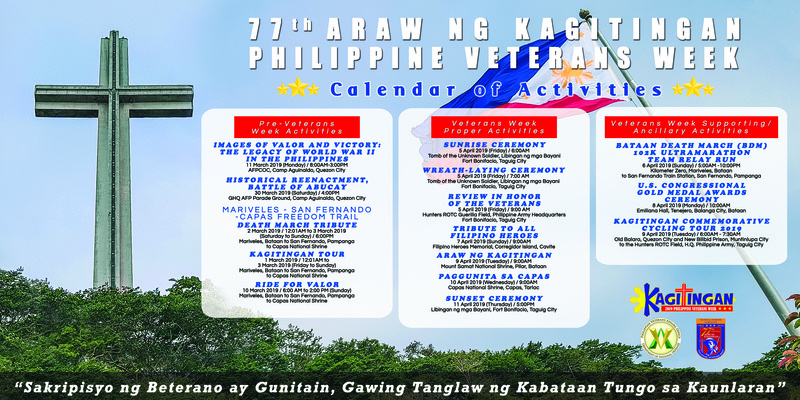 PATEROS â€“ Balut is considered as one of the original Filipino exotic food. 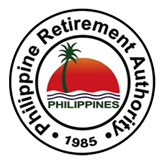 And when finding the best quality fertilized duck egg, Pateros ranks first, garnering the title of Balut Capital of the Philippines. 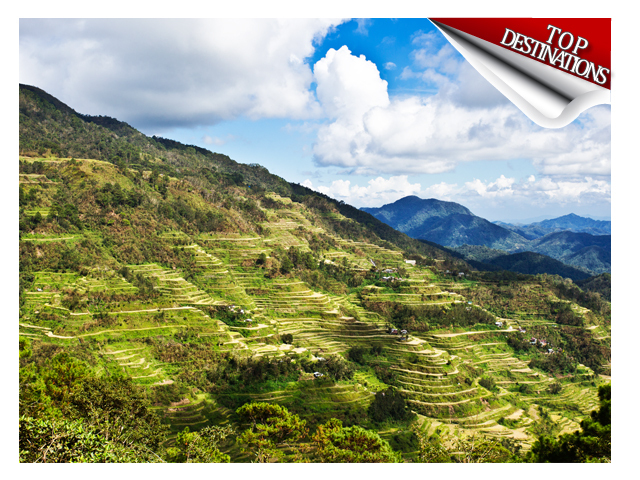 Because of its high altitude, Banaue is often described as "where land merges with the clouds to meet the heavens" with the rice terraces as "the stairway to the sky." 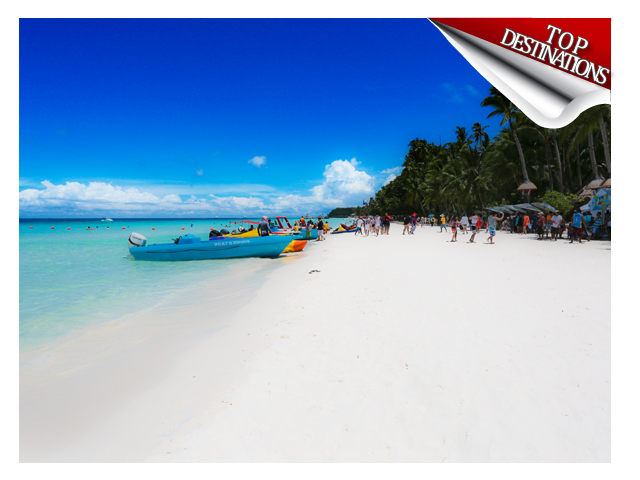 There is an undeniable easy atmosphere in Boracay where walking barefoot than shod is the rule rather than the exception. 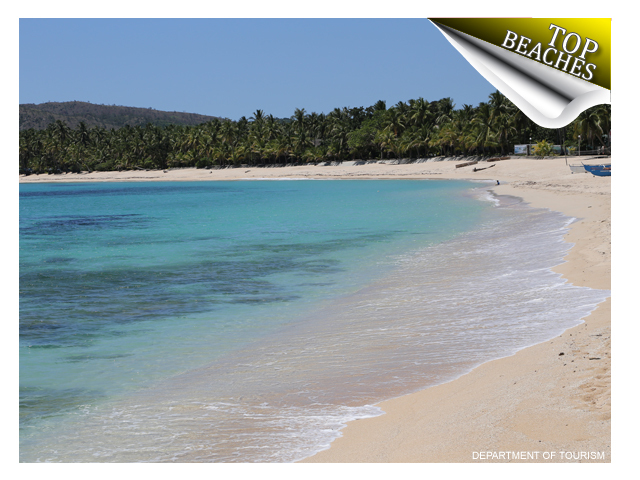 White Beach is so, soooo fine, it feels like treading on miles of baby powder! 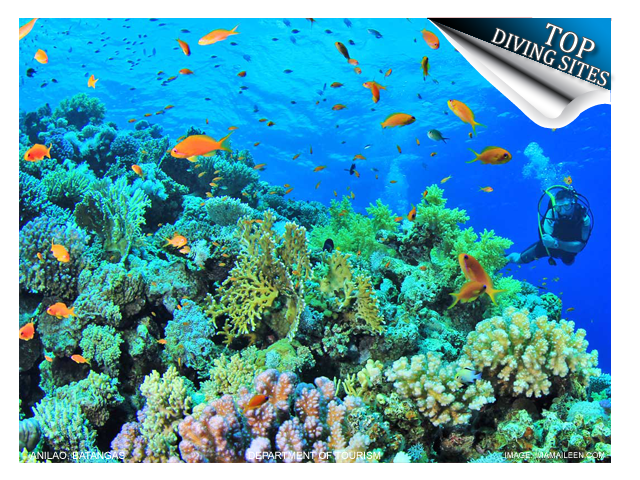 No wonder, even swinging discos have the beach for a floor, giving dance a new twist. 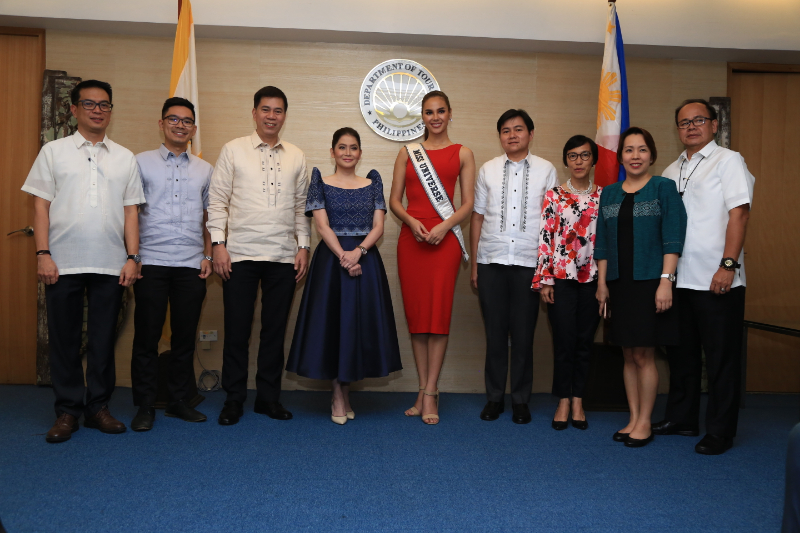 "Kadayawan sa Dabaw" is Davao City's premier festival and showcases the natural and cultural bounty of the land. 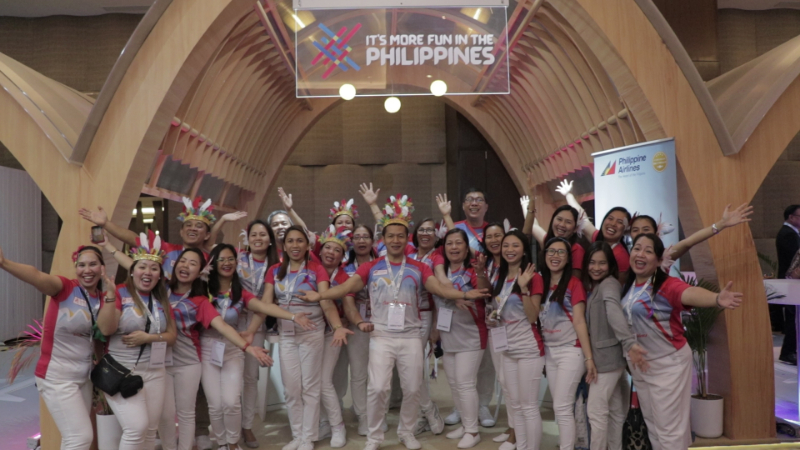 A movable feast in August, the week-long merrymaking highlights the manifold tribal cultures of the region which are vividly expressed in traditional songs, dances, games and crafts. 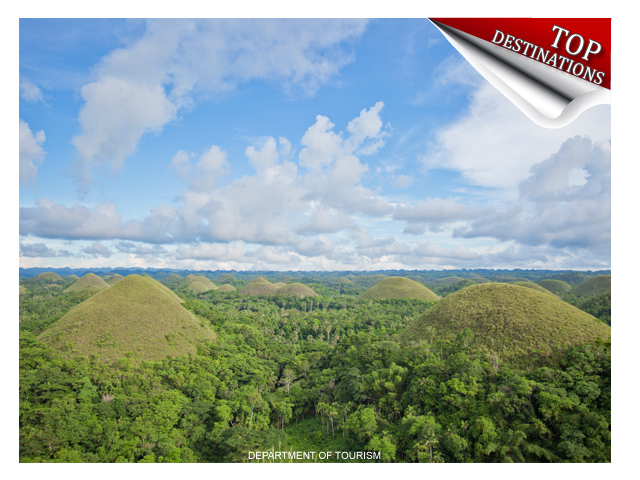 Chocolate Hills is a series of 1,268 perfectly symmetrical, haycock-shaped hills that rise some 30 meters above the ground. 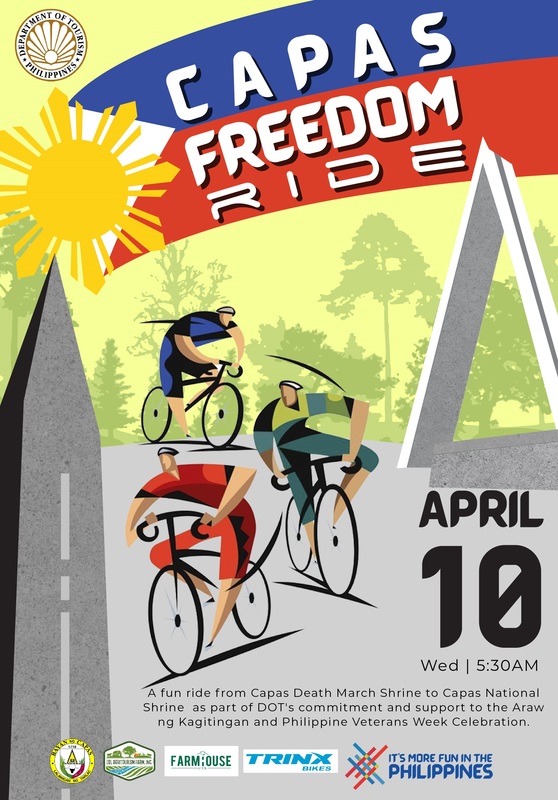 A National Geologic Monument, these unique, rock formations were cast after million years of evolution. 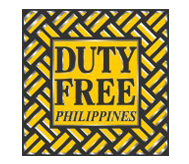 Cebu is the traveler's fantasy of a tropical island come true - balmy weather, pristine beaches, crystalline waters, and luxurious resorts with all the frills of modern living. 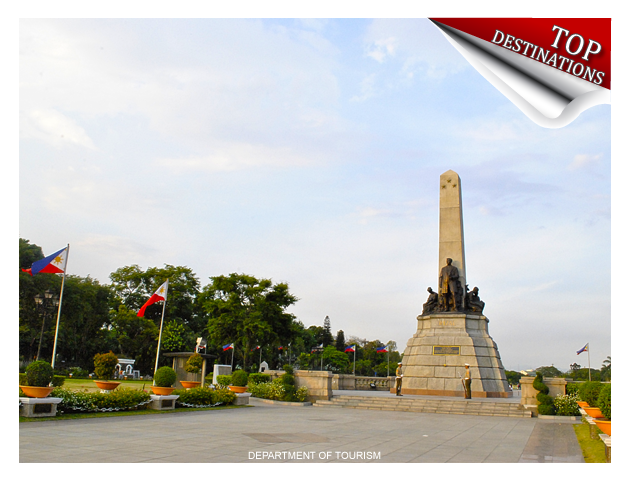 The capital of the Philippines - its heart and soul -- is Manila. 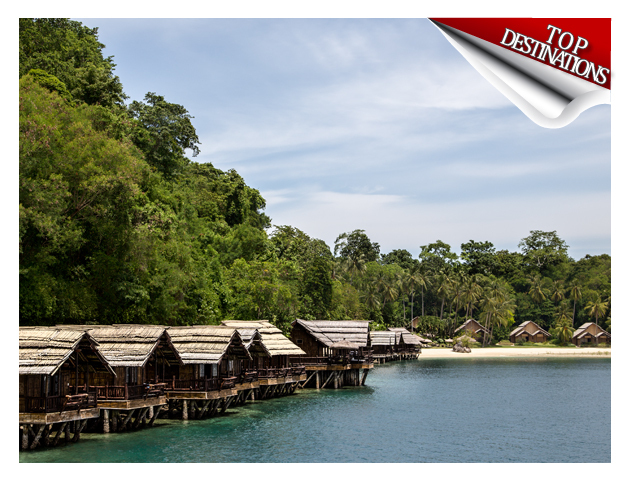 It sets the rhythm of life in this archipelago and is a pulsating hub that blends the Oriental with the Occidental, the quaint with the modern, the mundane with the extraordinary. 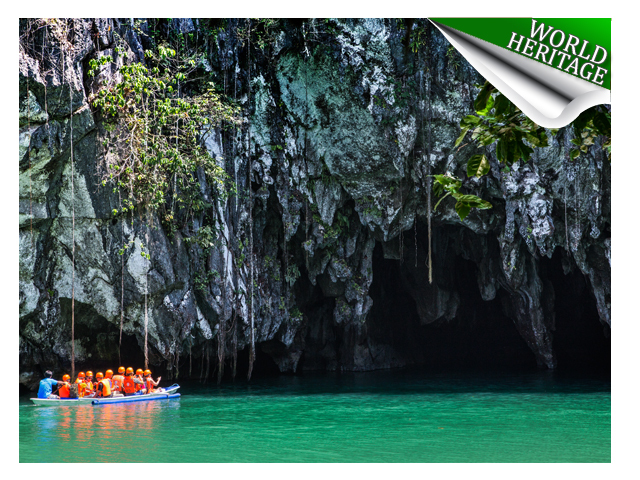 Puerto Princesa Subterranean River National Park lies in the Saint Paul Mountain Range, 81 kilometers from the center of Puerto Princesa City, but is still within the city boundaries. 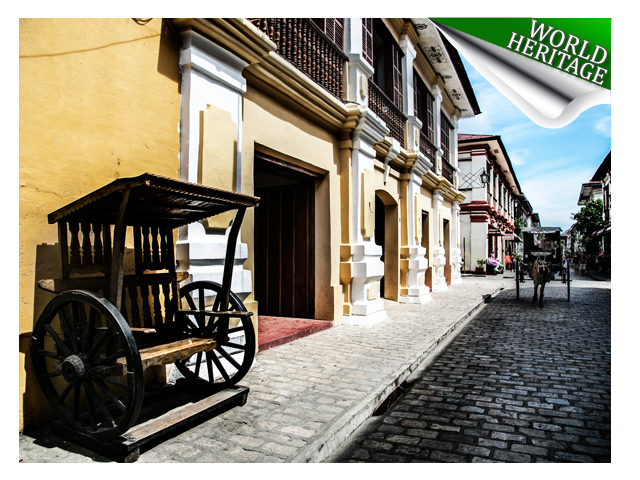 During the height of the Spanish colonial era in the 18th and 19th centuries, Vigan or Ciudad Fernandina de Vigan was the third most important city after Manila and Cebu. 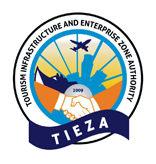 Not following fully the traditional Spanish urban town plan of situating the church as the focus of the central town plaza, the location of the Nuesta Señora De La Asunción church and convent in Sta. 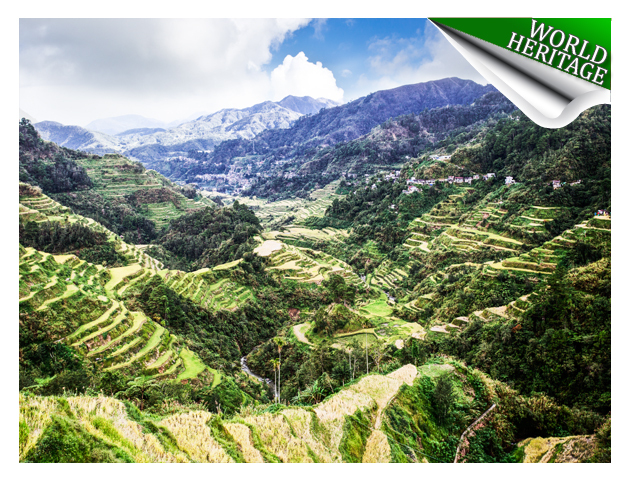 Among the world heritage sites in the Philippines, the Rice Terraces of the Philippines Cordilleras have such a powerful presence that makes them one of the most outstanding places in the country. 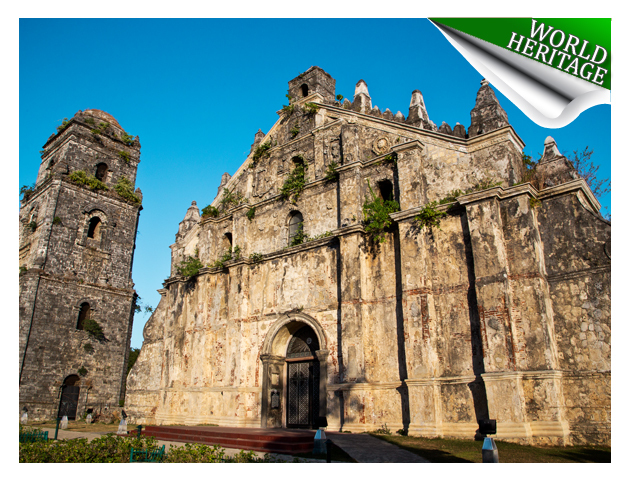 The San Agustin Church in Paoay began its construction in 1604 and finally completed n 1710. 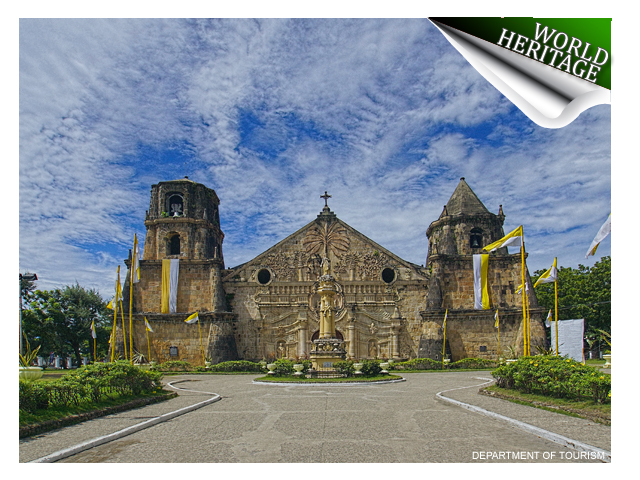 This is one of the most outstanding "earthquake baroque" structure in the Philippines where the primary concern was to design the church for earthquake protection. 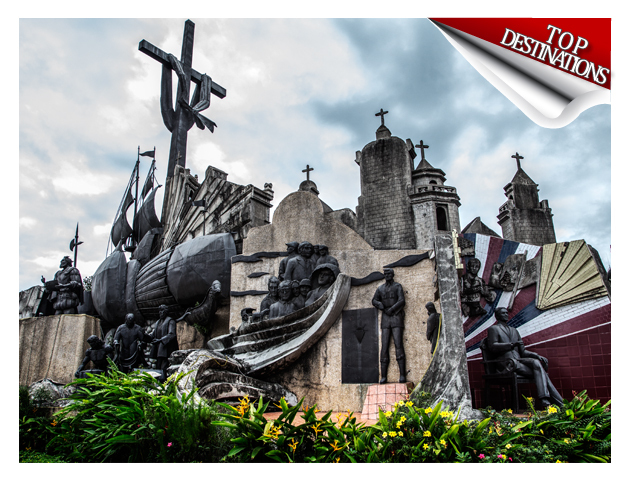 Built of local yellow-orange sandstone, the large fortress-church was completed in 1797. 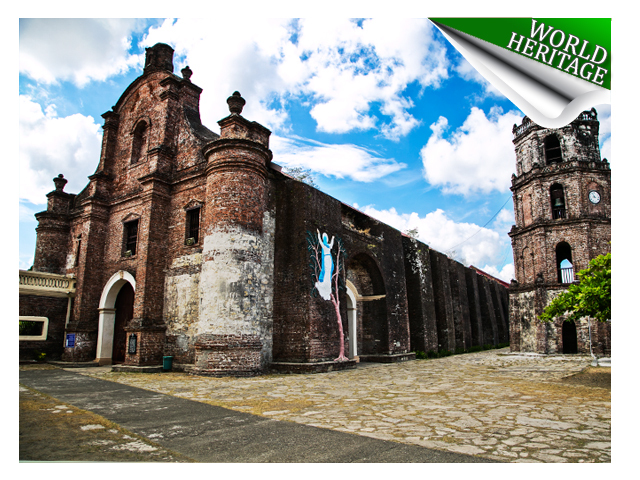 The church withstood typhoons and earthquakes, but it burned twice: first was during the revolution against Spain in 1898 and the second was during the Philippine-American War a few years later. 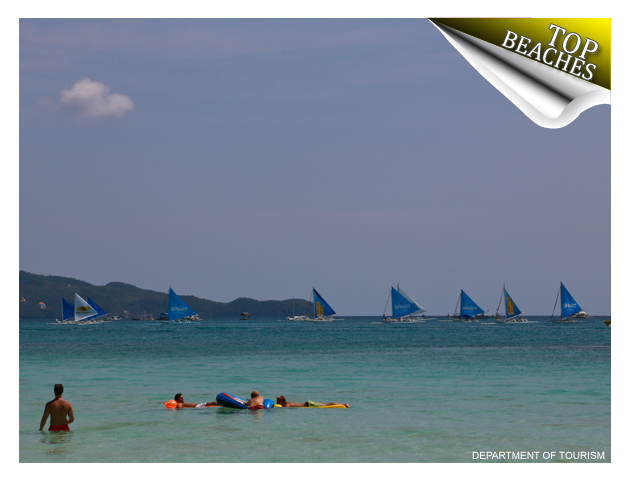 Boracay Island, with its sugary white sand beaches and azure blue waters, is located on the northwestern tip of Panay, Western Visayas. 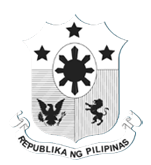 In the Northern part of the Philippines is a beach reputed to have the longest contiguous white sand with mighty waves and strong winds that can compare to Hawaii. 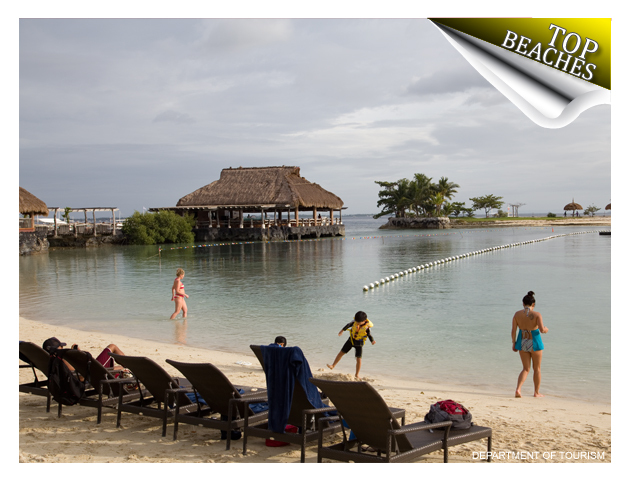 Lying in the heart of Cebu is the island of Mactan. 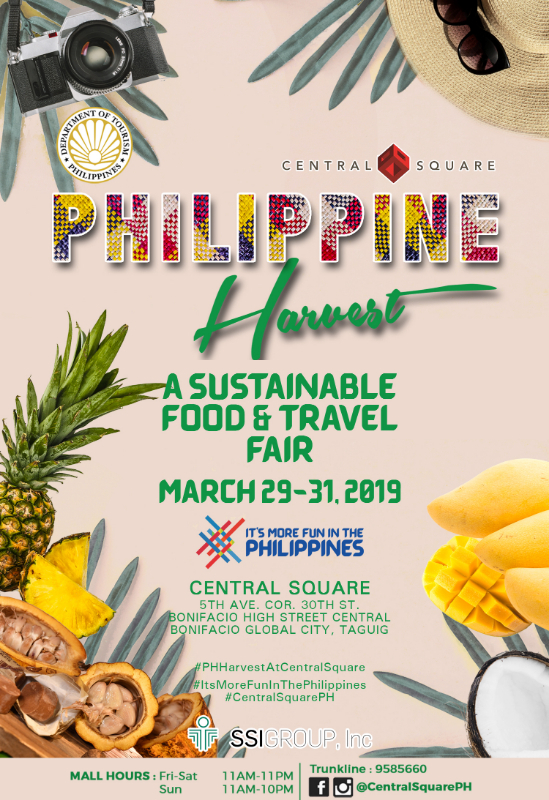 This tropical-island getaway endowed with a variety of colors from its beach, hotels, resorts, nightlife, music, food, drinks will guarantee to spice up every tourist. 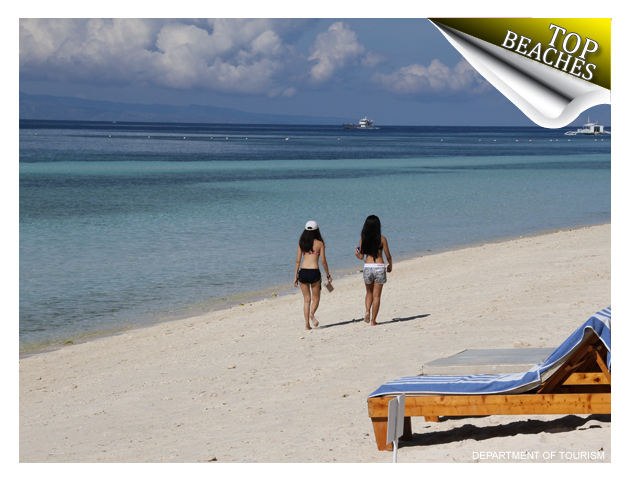 Panglao is a perfect for a great dive and beach holiday. 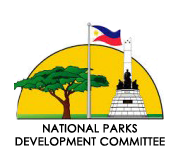 It is a small island on the Philippines southwest of the bigger island, Bohol. 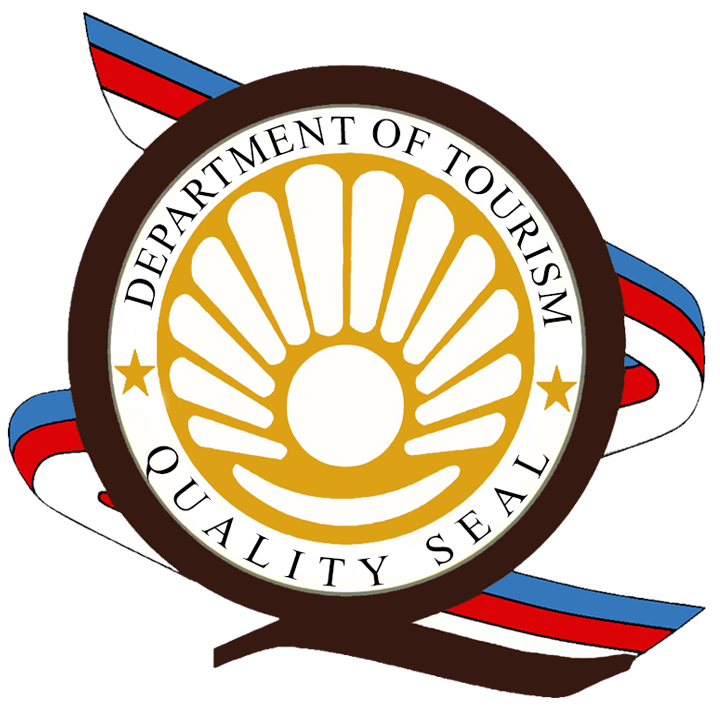 Camiguin, which rhymes with "come again," has been regarded as the most beautiful island in the country. 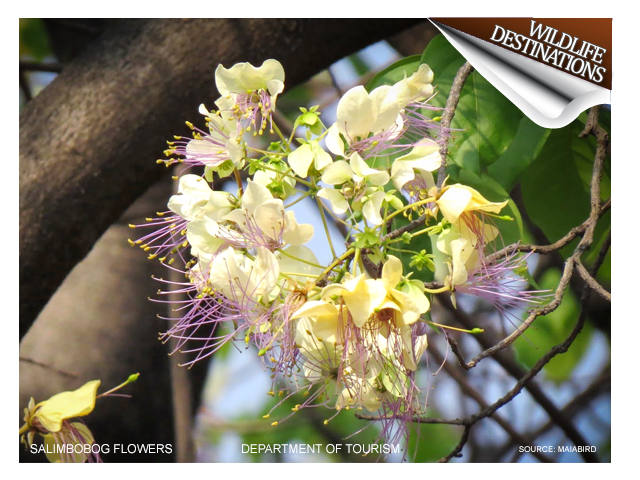 As such, it is also referred to as the Philippines "Garden of Eden." 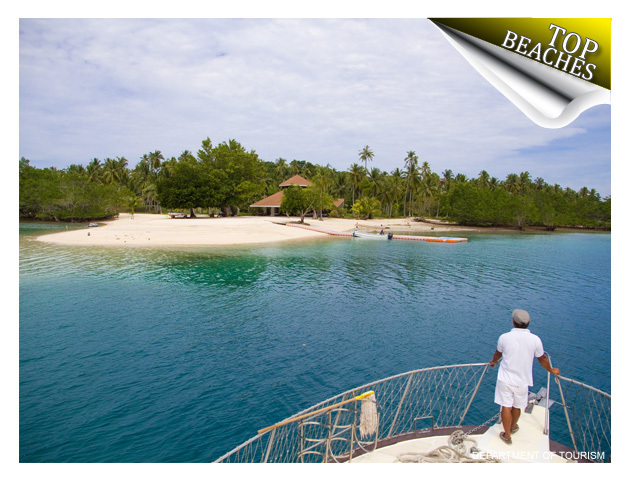 Pearl Farm is located in the Samal Island off the coast of Davao City, Southern Philippines. 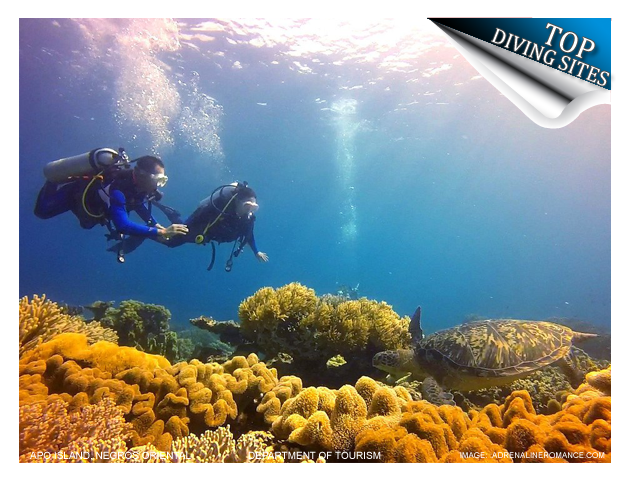 Known as the Pearl of Mindoro, it is world-famous for splendid beaches, coral reefs, and exquisite dive sites for new and experienced divers alike. 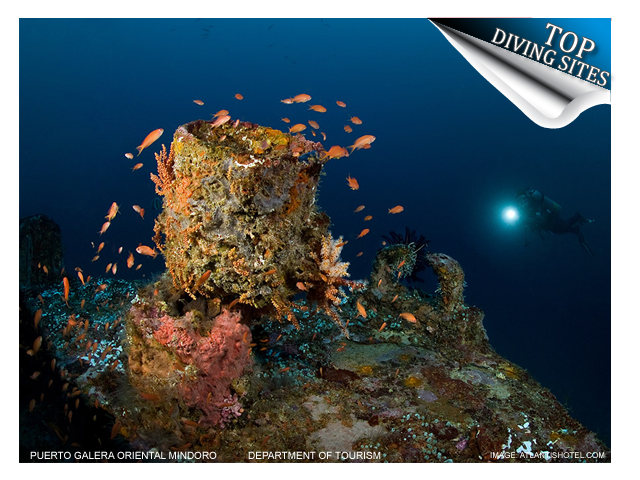 Located in the province of Batangas, it is not only ideal for poking around and observing marine life but also outstanding for macro photography. 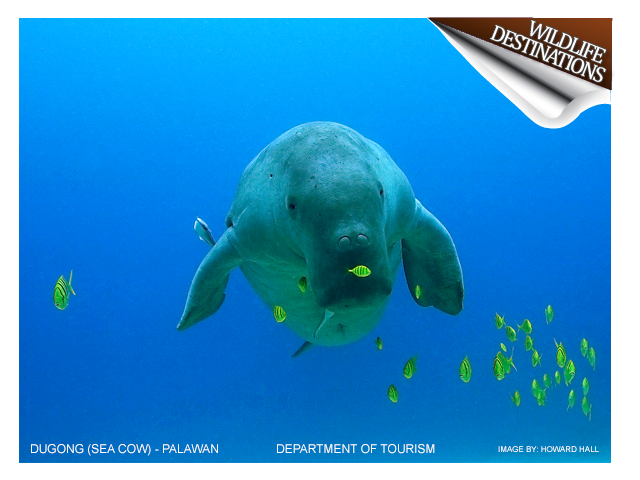 Around Balicasag Island, you'll find some of the best diving locations in the Philippines. 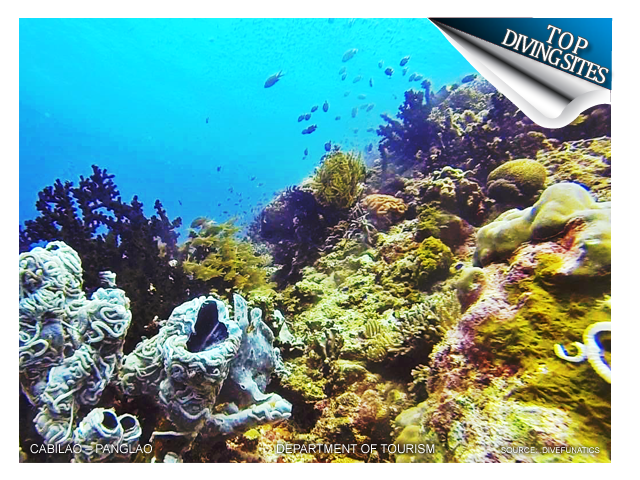 Apo Island is one of the smallest volcanic islands in the Philippines. 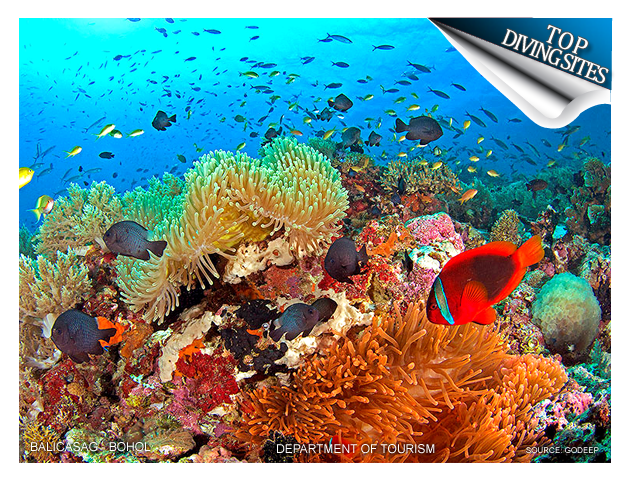 It is one of the world's best known marine sanctuaries. 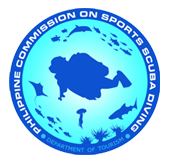 As a diving destination, Malapascua was "discovered" fairly recently, only in the early 90s. 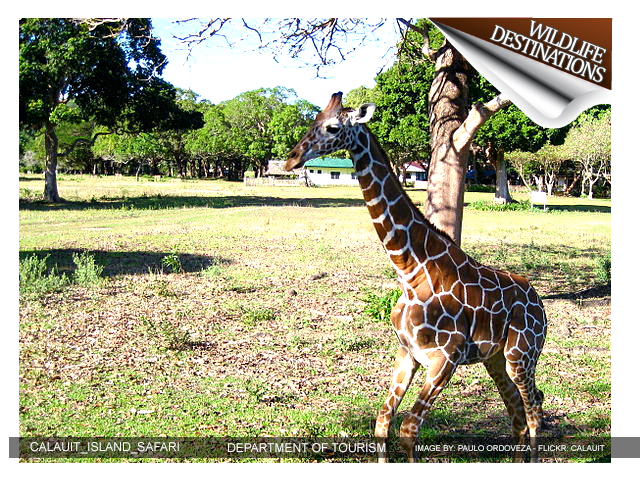 The game preserve and wildlife sanctuary on Calauit Island is straight out of Africa. 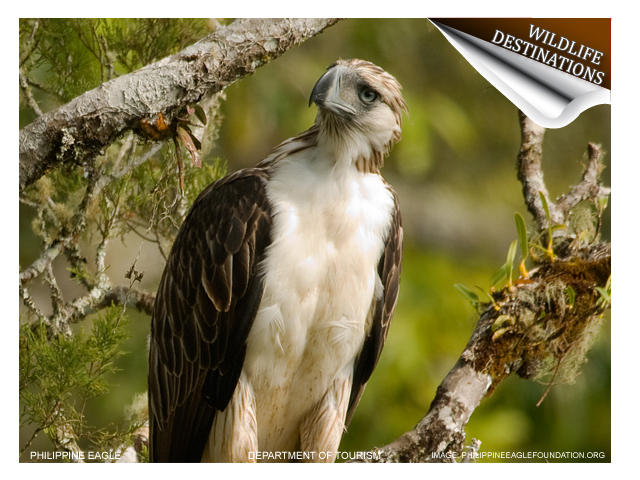 To add to an array of endangered endemic Philippine animals are 108 African animals transported here. 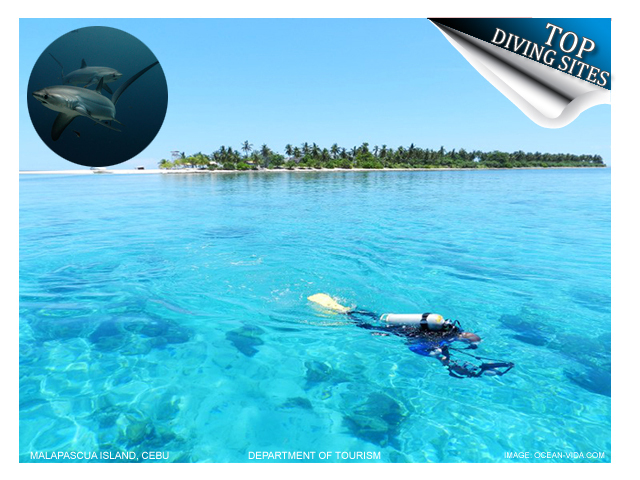 The Tubbataha Reef National Marine Park teems with 300 coral species, 46 coral genera, 7 seagrass species, 71 algae species; large marine life, dolphins, marine turtles; and seabirds. 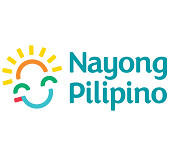 Ninoy Aquino Parks and Wildlife Nature Center in Quezon Avenue boasts of about 38 species of trees and shrubs, representing 2,443 trees commonly found in Philippine forests. 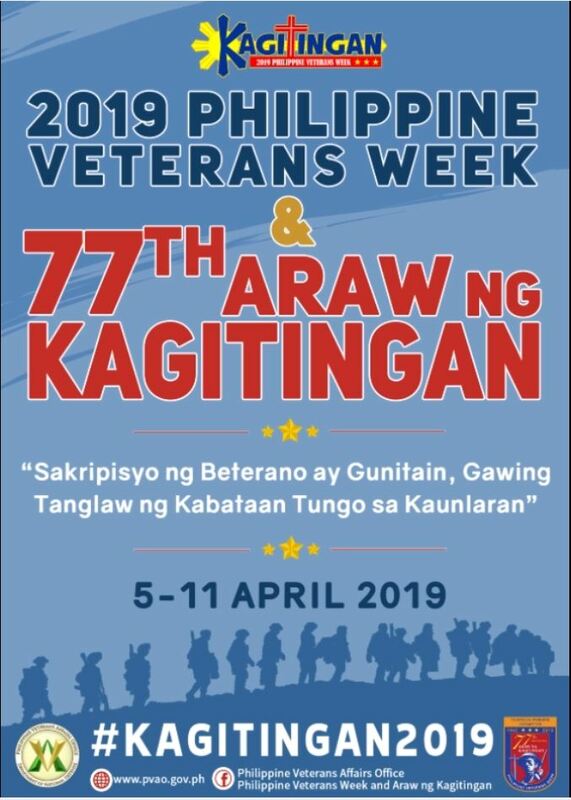 Olango Island, "The Bird Island of Central Philippines," is a critical stopover of up to 50,000 migrating water birds flying the East Asian migratory flyway yearly.